The NEW Urban Decay Naked Smoky Palette ($54.00) was just released and I’ve got some pictures to share with you guys! 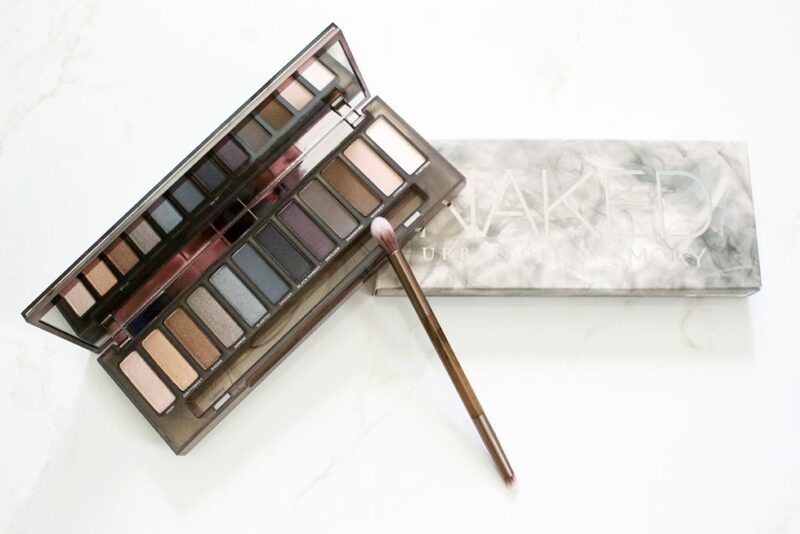 This is the fourth Naked Palette that has been released from Urban Decay and in my opinion, they’ve made some major improvements from the previous ones. It’s kind of a funny name to me. 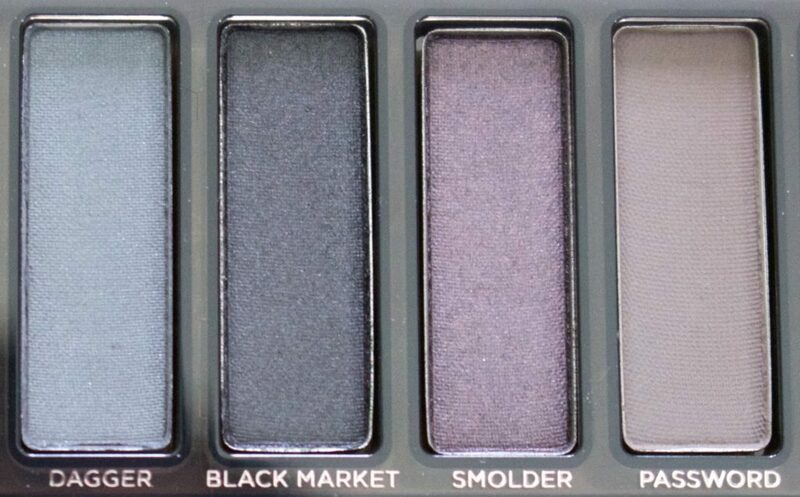 Naked Smoky?!? At this point though, Urban Decay’s NAKED Palettes could be named anything at all and they’d still sell. They’re THE palettes to own. This is the fourth NAKED Palette to be released and one does start to wonder how different can they be after a while? In my opinion, this palette is again, completely different. The first palette was and still is my absolute favorite. It’s got the colors I wear the most (I’ve hit pan on at least three) and it’s my go-to for when I want to wear warmer colors. Then they released the second one and that was all about the cool-toned colors. Lots of grey shades. This is probably the one I wear the least if I’m honest. The third palette is all about those rose colored shadows. It’s gorgeous! 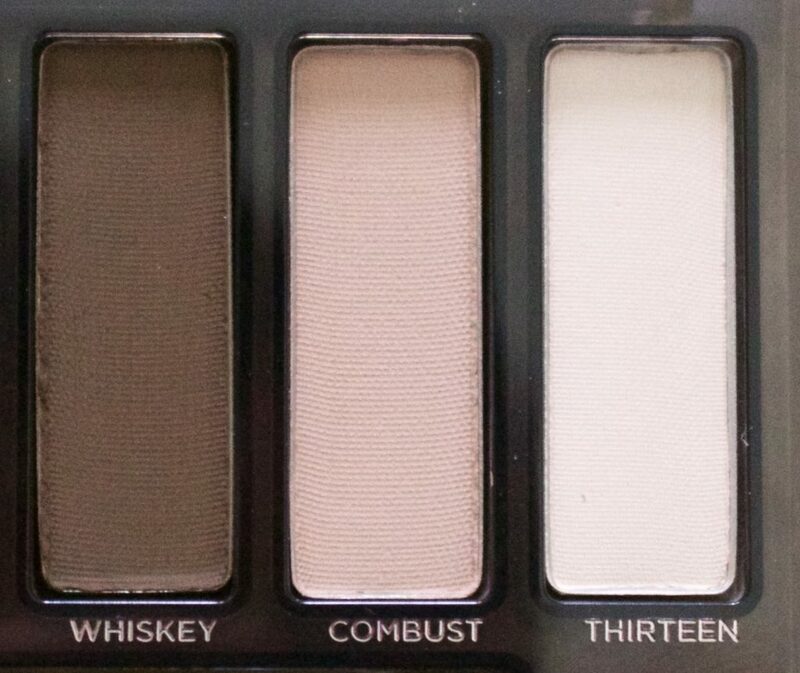 Now we’ve got the Smoky palette and I feel like this is what they should have made the second palette. It’s definitely more cool, grey toned colors again, BUT it’s got such an awesome mix of other colors as well. 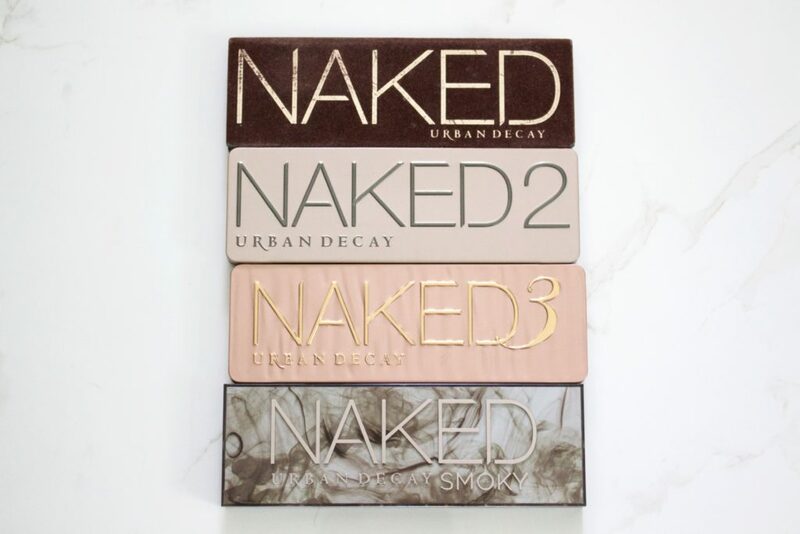 Here’s a look at all four of the Naked Palettes. 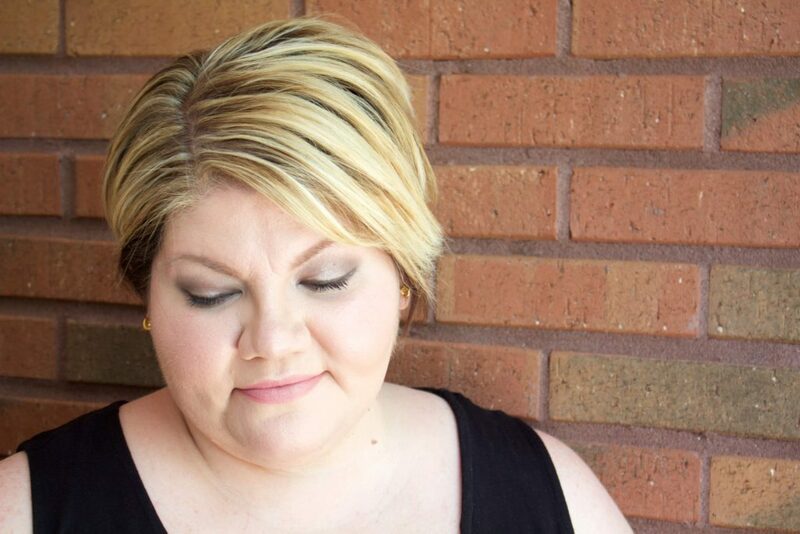 The Naked Smoky Palette has some major improvements! The original palette wasn’t the sturdiest and yes, it was made of felt, but I am not the biggest fan of the packaging on the second and third palettes either. I hate getting them open and closed and the mirrors on both of those palettes just did nothing but fall over when they were opened. 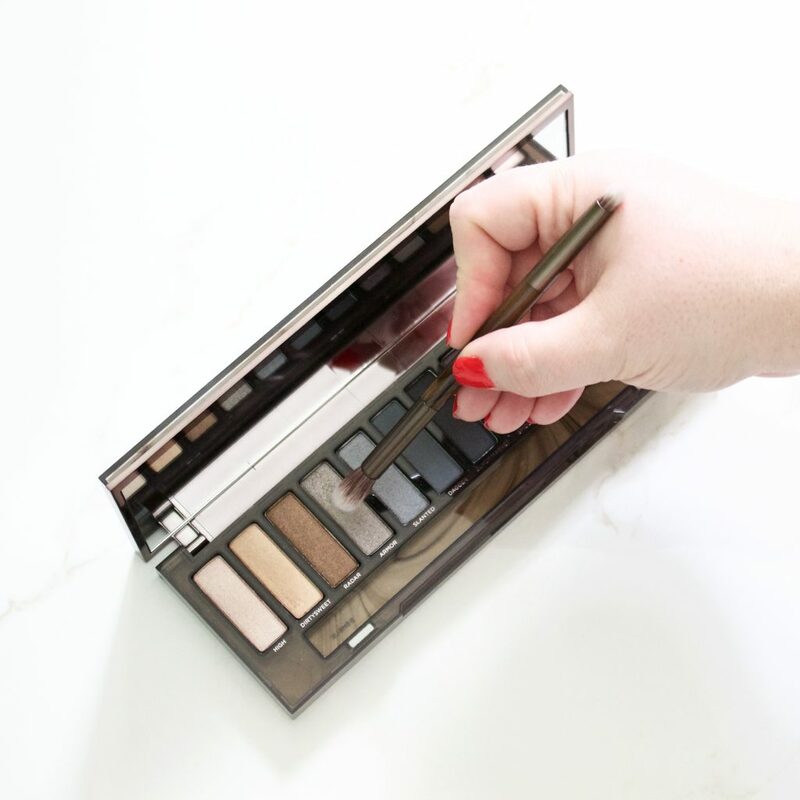 The Naked Smoky features a magnetic closure and it’s packaged in this beautiful plastic translucent, smokey case. Plus, the packaging can be opened and angled, without the mirror falling over! YAAAS! I also really, really like how they have the shades arranged in the packaging. It starts with the shimmer shades, satin shades and finally the mattes. This palette comes with a dual-ended brush that is a pretty nice brush. It’s has synthetic bristles that are short on one end (think almost a pencil, shader type brush) and the other one is more for blending (longer, fluffy type blending brush). Overall, I think this is a nice brush that I can use for sure. 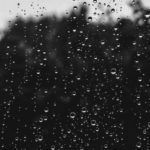 Could I only use this brush to create a look?! Possibly, but it probably won’t happen. I would never say never though. I feel like some of the colors just needed different types of brushes for a good, even application. Also included is a instructional sheet on how to achieve certain looks that they have created. It’s straight to the point and easy to follow. I ordered mine from Urban Decay and it also included a sample of some of their Lip Glosses and their Perversion Mascara. I got free, two day shipping so my palette arrived very quickly! As far as the actual colors go, I really like most of them a lot. In fact, there aren’t a lot in this palette that I don’t think I’d hesitate to wear. With a couple of the other palettes (mostly the Naked 2) I just don’t get a lot of wear out of some of the colors. I feel like this is the type of palette I could travel with just because there is such an excellent assortment of shades and finishes to choose from. Some of the colors applied fantastic when I was swatching them. Others took a little bit more blending and possibly a second layer to get an even finish. 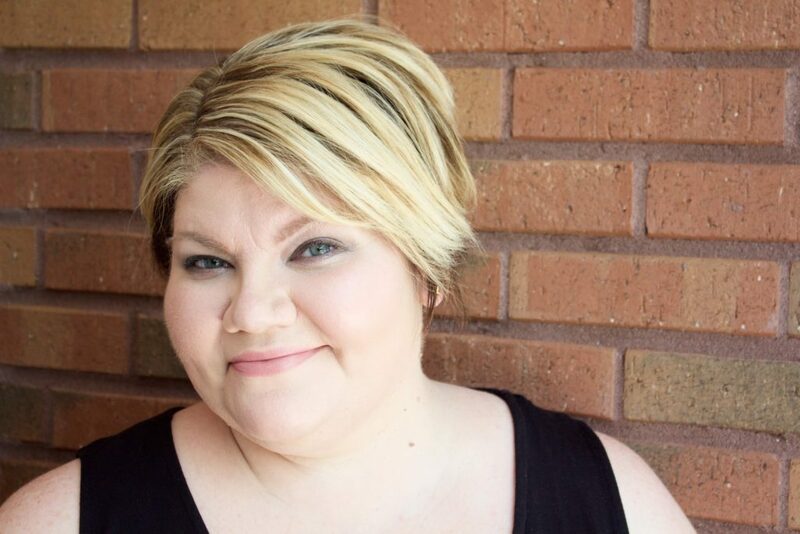 Here are some pictures of me actually wearing colors from the Urban Decay Naked Smoky palette and trying to be a supermodel at the same time, ha! 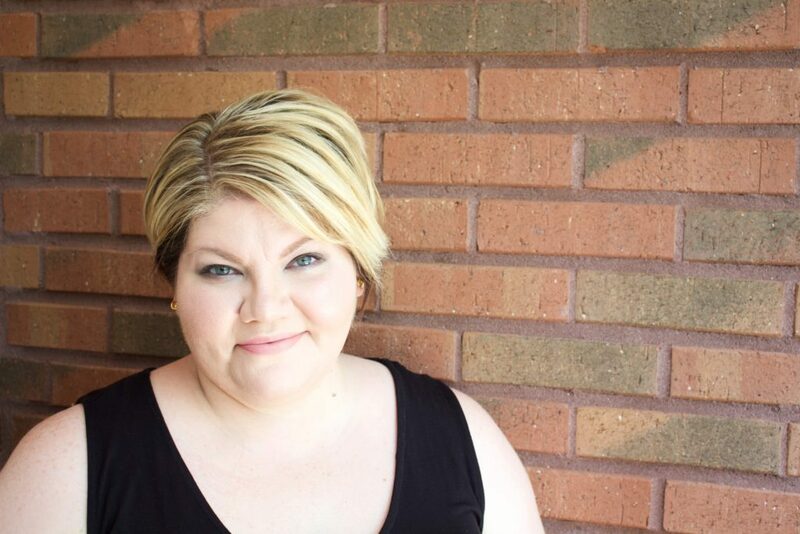 I can never tell you how awkward it is to photograph yourself. It never feels any less odd even though I’ve done it a thousand times now. HA! Even though this is called a Smoky Palette, I still feel like you can get a really good amount of wear from the colors. Even on the most casual of days when I don’t want a lot of makeup, I could just use some of the lighter colors and make it work. 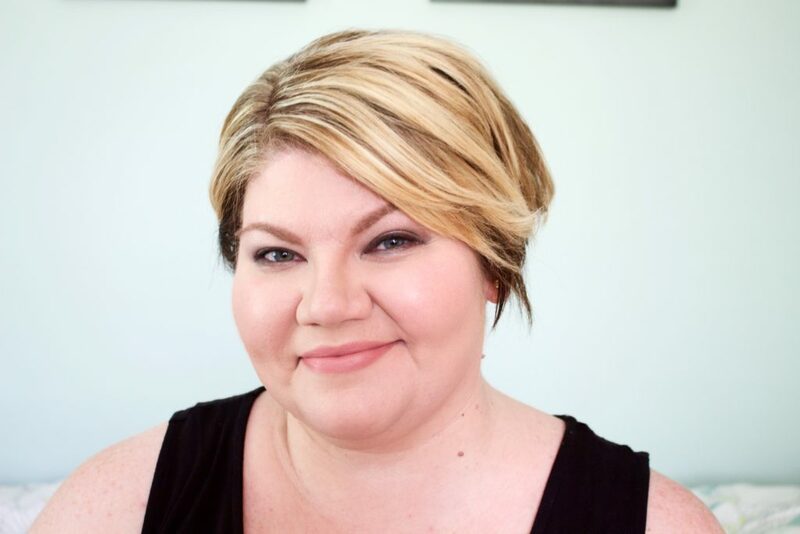 That’s what I do love about this palette-it’s great for going from day to night quickly and I have a lot of options when using it from day to day. Now for some different lighting…this was taken outside! 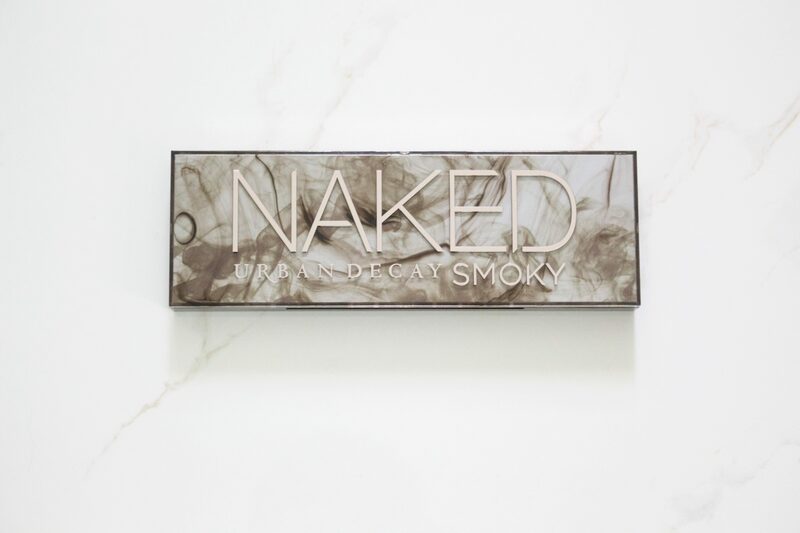 Should you buy the new Urban Decay Naked Smoky Palette? I wouldn’t say that I wear a lot of intense eye looks that often, but I can have fun with this palette! 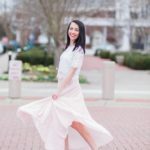 My questions I had when I started this post was “Do you need this palette?” and I have some answers for that. I feel like if you have all of the other palettes, at this point, probably not, but if you already have all of them and love makeup and the Naked palettes, you’re more than likely going to end up getting it just like I did. I didn’t need it, but I was curious enough to order it. They’ve never come out with a Naked palette I didn’t order yet. 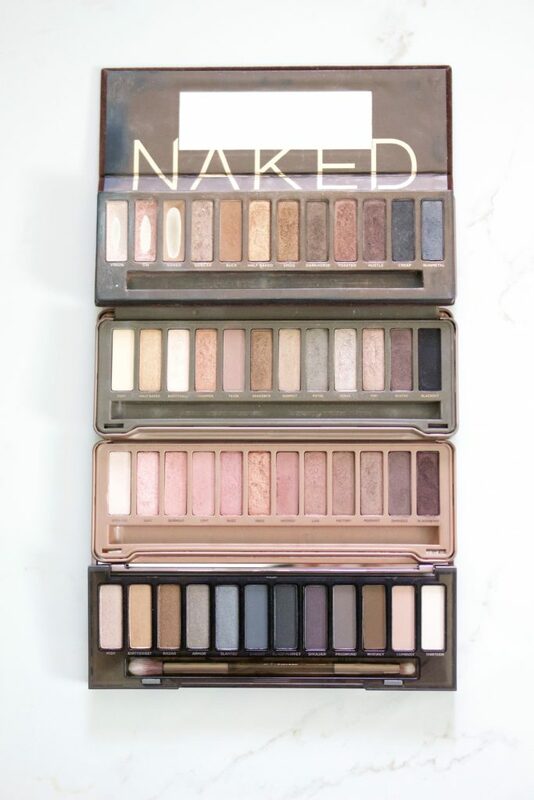 IF you are new to the Naked palettes and you aren’t sure if this is the right one for you, I have some suggestions. Do you like warmer colors? If so, I’d stick with the original. It’s still my favorite and I feel like you can get a ton of looks out of that palette. Do you like cooler colors? Then this palette might really be a good option for you, if not I’d try the second one. If you are really into the whole rose colored look-the third one is exactly what you need. They’ve created palettes for everyones needs and it’s just a matter of what kind of colors you prefer! I hope that helps with your decision as to whether or not you are going to buy it. I think with any of the palettes that they have released, you can easily create a smoky look, BUT I do really enjoy the variety of colors and finishes that they have with this palette a lot. Did I really need it? No way, but I’m glad I ordered it because I’ll get a lot of use out of it. 1. Excellent packaging and I love the changes they’ve made! Major improvement!! 3. Mattes! Finally a decent amount of matte shadows in a Naked Palette! That’s always a been a big complaint in the past! 5. 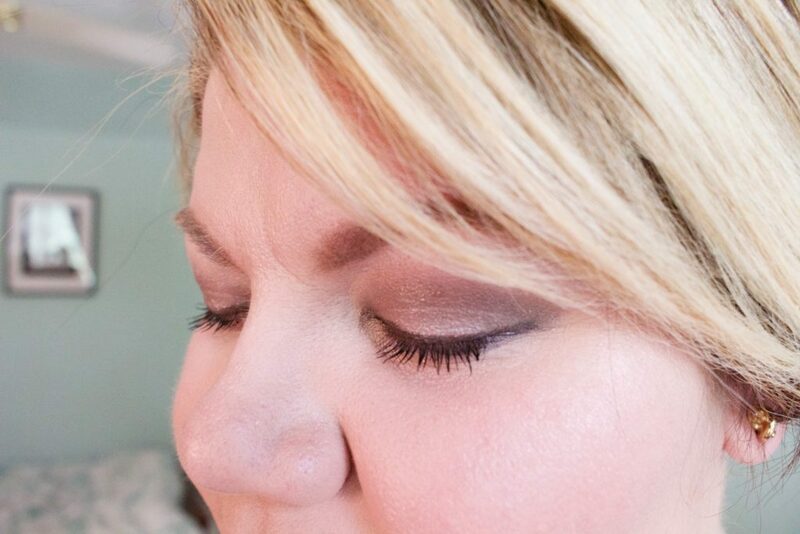 Even though this is more a cool-toned, neutral palette; I can still get a lot of wear out of it and I’m a huge fan of warmer shadows! I don’t feel like there is a color I don’t like. 6. 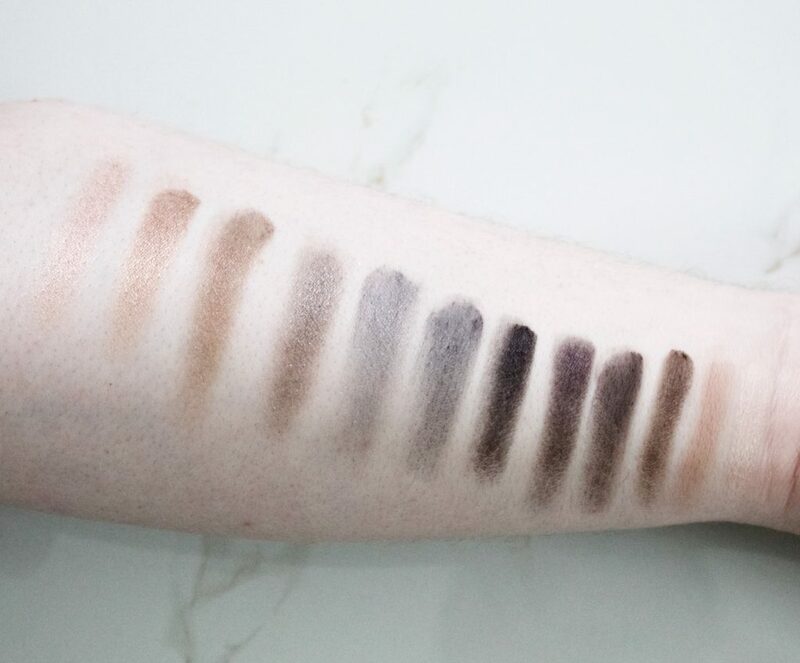 You’re getting 9 new shades and I’ve tried to compare the shadows and only a couple of them are fairly close to any of the other shadows that were released before. 3 of the older colors were in previous palettes. 1. Quite a bit of fallout with some of the shadows. Be careful when applying and I always suggest to work on your eyes first, that way you don’t mess up your concealer and foundation. 2. Some of the colors seemed like their formula was pretty dry! Always use a primer and just make sure to blend and build up the color! I’d rate this 9/10 stars! I love the colors and the packaging and the brush is a nice touch. Some of the formulas seemed a bit dry to me, were hard to blend and had a lot of fall out. Other than that, I think is is a great palette that will make makeup lovers very happy! 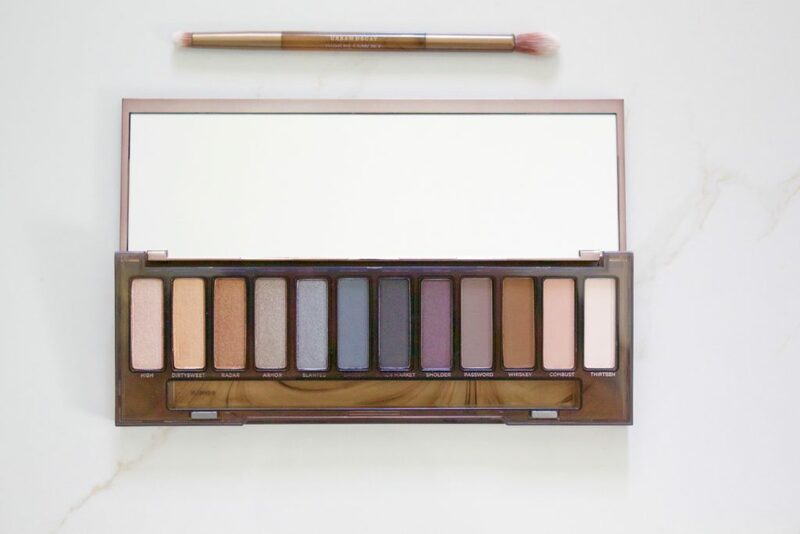 Out of all of the palettes, besides the original Naked because that’s my favorite of them all, I’d say this would probably be my second favorite! The colors are great for a variety of skin tones and it allows us to really create some fun looks, but also suitable for every day wear. For a palette that is almost $60.00, I feel that it’s a good buy. Are there other palettes that I would rather own and think are better? Yes, BUT the Urban Decay Naked Palettes are some of THE most sought after palettes and the Urban Decay Naked Smoky has already sold out within a day and they always will. 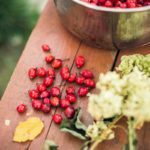 They’re cult-status, must-haves for a lot of people and I totally get the hype. The Urban Decay Naked Smoky palette keeps selling out online, BUT right now as I just looked it’s available on Urban Decay’s website, Sephora and Ulta. I believe it will be available in stores on July 16th. So if you are wanting one, I’d order one or head to your local Sephora, Ulta or Urban Decay Flagship store (if you live close) to pick it up. These palettes always sell out right away, but they will be back in stock, so keep checking! As an added bonus, I’ve got an extra one to giveaway! I realize that these palettes are expensive and can be sometimes hard to get your hands on and I’m so thankful for all of your support and encouragement! It really means a lot to me and keeps me going! Enter below!! Good Luck!! Affiliate Links Included. NOT a sponsored post.